With snack buddies, you will never have to eat alone- The Bunnies, Hedge Hogs and Foxes are super fun and are always eager to help you grab a bite without getting your fingers dirty whether by yourself or with friends. Our set of 12 Buddies are made from raw, untreated American Basswood (Tilia americana) and are 100% compostable. 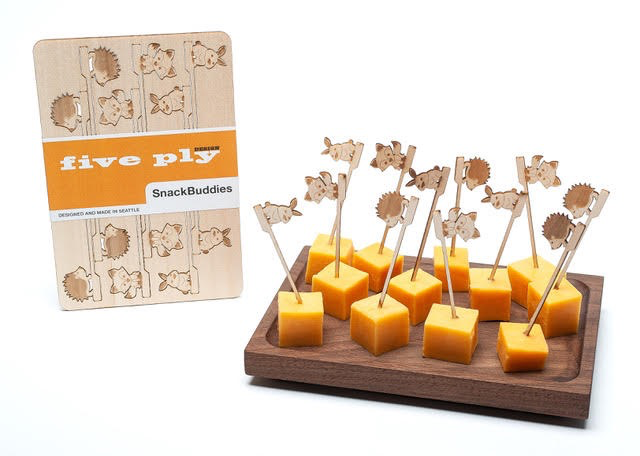 Since our SnackBuddies are a natural wood material- they are quite durable, however they are not dishwasher safe.